Routine and discipline are often associated with boredom and sacrifice. Depending on your approach, your routine might be boring. and discipline may feel like sacrifice. 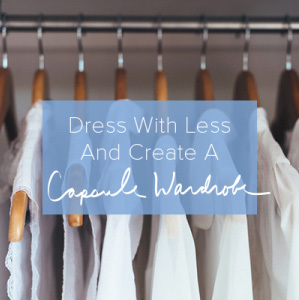 That might be ok for a short period of time, but habits that last must offer more. I recently committed to new routine, and then I remembered what usually happens when I start a routine that is too rigid, and doesn’t have a bunch of room for real life. I get a cold or bug that stops me in my tracks. I always think of it as a reminder from above that I don’t run the world. I lose interest after a few weeks or days. 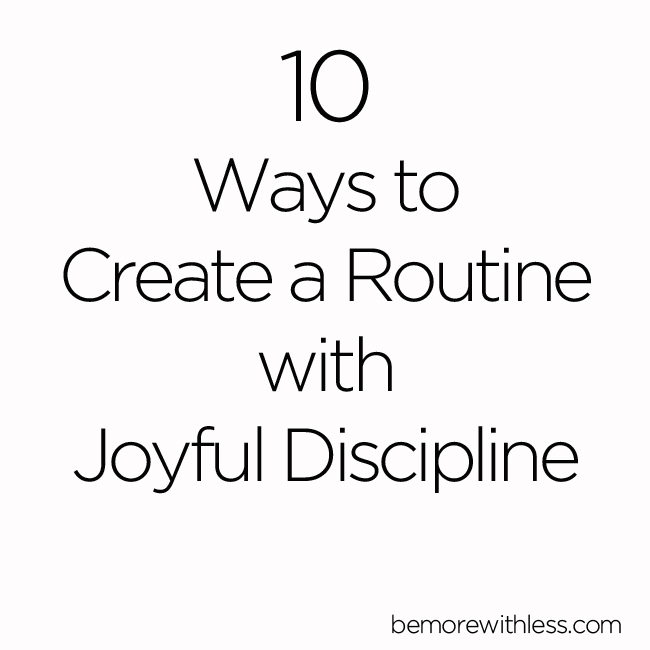 Whenever there is a change in season or lifestyle, I like to experiment with new structure and routine, but this time, I’ll be infusing my routine with a good dose of joyful discipline. I want to create daily routines that last, and support good health, my best work, and a really big heart. I crave routine that gives me space to chase my curiosity, time to really enjoy what I’m doing instead of rushing from one thing to the next, and the energy I need to be open and thoughtful. Create your routine with a mix of habits and activities that contribute to long-term health and good work, but that also offer immediate benefits. For instance, drinking green smoothies helps you consume high quantities of fruits and veggies, but adding ginger gives you a daily zing that will result in early morning smiles. If your schedule blows up with something unexpected, without joyful discipline, you might feel resentful or frustrated. Plan to be surprised, and let go when you need to. You may have created your routine for days you are full of energy and focus. If you toss and turn the night before, you might not have the level of commitment you have after an 8 hour snooze. Instead of pushing through, adjust, back off, and do less. Pay attention to how your routine is treating you. Do you feel healthier, happier, and more loving, or stressed and rundown? If after some time, your routine is not contributing to your well-being so you can contribute at a higher level to everyone around you, change things up. Even though you will be adjusting for inflation and deflation, it’s up to you to protect your routine by saying no, making cuts, and giving yourself the space you need to grow, thrive, and heal. 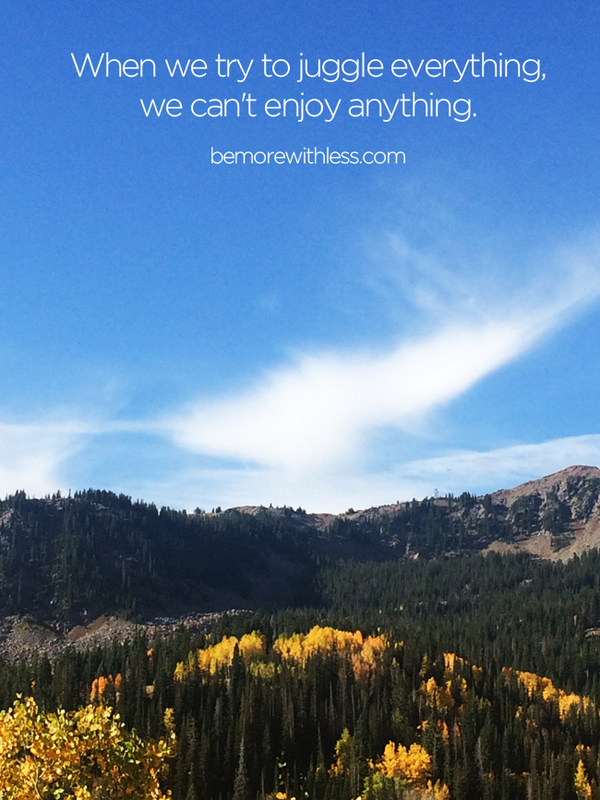 When we have to juggle everything, we can’t enjoy anything. If your routine includes an early morning trip to the gym, and you scowl as you turn off your alarm clock at 5am, commit to smiling when you wake up. Stretch and smile before you get out of bed. Instead of thinking about how much you want to sleep in, remember how fortunate you are to have the opportunity to get up and workout. It might be a hard sell at first, but after a few days, your smile will work its way into your head. Include other people in your routine. As someone who loves to spend time quietly writing, I know how hard this can be. Schedule calls with people who lift you up or invite friends for a weekly walk. Even if you work with other people all day long, intentionally including the right people in your routine will make a big difference. If boredom is something you worry about, have 2 or 3 routines that you rotate throughout the week. I’m experimenting with something similar detailed below. Schedule one day a week to wake up with no plans or obligations. This might be a good day to unplug your computer, take your Fitbit off, and remember what it’s like to let the day unfold. If your schedule is too full, aim for one day every two weeks or once a month to start. When you create your routine, write a few sentences about why you want to structure your day with intention. When you are feeling unmotivated to continue, read what you wrote. Remembering your why will provide great emotional leverage when things get tough. Start small and be mindful of how you spend your time. The more intentional you are, the more you will treasure the opportunity to create routine with joyful discipline. Thanks for sharing your routine with us, Courtney. It’s inspiring to see how you’re going about it. I love, actually crave, at least one day a week when I wake up with no plans or obligations! This is heaven to me. My body really needs that downtime. I do have a very simple morning routine: meditation practice. And 3 days a week I go to Tai Chi in the morning. I love this, it is very timely for me this week! I recently created my own morning routine a few months ago and find myself becoming very bored of it too – definitely not as excited and enthusiastic as when I originally started it this summer! I think you are so right in suggesting to change it up and alternating different routines for different days of the week, I really like the idea of that and am definitely going to be giving it a try. Thanks for the inspiration Courtney! Christina, I think that change up will really help! Good luck with your pivot. I love that you work for yourself and still rise at 5.30 am! Just shows that we must own our time and consciously decide what to do with it! We just talked about that in a little workshop on Minimalism we had at Unicamp in Brazil. Over here you have at least 3 more followers of Project 333! Thanks Ivi, That is so cool. If you are sharing Project 333 images on Instagram, please tag me over there and remind me it’s you – @bemorewithless. Cait, I’d love to hear how it goes for you after a couple of weeks! I don’t have any kind of routine for ANYTHING! I have recently started following an online blog type thing which is helping me become more systematic about my housework and I’m seeing and enjoying small changes, which I guess you would call routines. I notice nobody here talks about the laundry and dusting and cleaning the bathroom……do you all have cleaners???? Or have you all developed such well tuned routines that housework doesn’t infringe on your personal plans and goals? I long to write and create but my house is such a mess that I can’t think straight! Does your Meaningful Morning Routine microcourse contain any reference to washing the dishes in a timely fashion? Or is it more about caring and nourishing oneself and planning and execution of personal goals? And I love your sunny disposition! And your lovely photographs!!! Thanks Dawn! I don’t spend a bunch of time cleaning since I downsized 2 years ago. A small space = less cleaning and taking care of things. The morning routine course isn’t about cleaning, but it could be one of the habits you build in if it’s helpful. I think that’s probably one of the problems…….I still have too much stuff! I have 2 small personal routines I’d like to add to my day and I’ve decided the best advice I can follow, in order to implement them, is ‘Smile’ and ‘Remember the why’! I DO often put personal goals first, which is why my house is such a mess! I have the day off today. I’m going to do some joyful planning! I have yoga at 3pm – that’s a new weekly routine I’ve managed to incorporate. So it can be done! Like you, I know what direction I should be moving towards…….it’s time to walk the talk! Thank you for all the time you spend writing these articles. They are such an inspiration to me. I was diagnosed with Multiple Sclerosis in 1986, when my child was 6 months old. Now that he is all grown and I have an empty nest, it really encourages me to get up and keep going instead of laying back in the bed with the covers over my head. Thanks again! This is so true! I find myself wasting time on things I don’t really want to be doing and then wondering where the time went, so I’ve drafted schedules of how I actually WANT to be spending my time to help me focus and create better routines. I love the idea of “Unroutine” and have never thought about this concept before. I am so guilty of scheduling every piece of my day that I am often derailed when something doesn’t fit my preconceived notion of how things were supposed to go. The moment I wake up or even the evening before, I have planned out the following day and activities/goals/chores/tasks. Although I know this will be hard for me, at least a day a month of absolutely no defined routine, expectations, or obligations is something that I need to strive for. What an amazing and lovely concept. Being conscious of my time becomes more and more important as I get older. 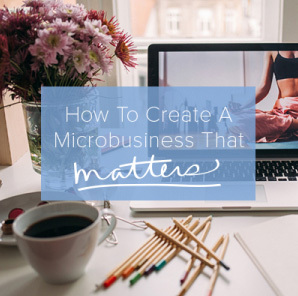 I realize as a freelancer there is so much more I could add to “grow” and build my business, but would I be building it on a solid foundation, or would I be tired, overwhelmed, stressed…and building it on a shaky foundation. I choose the latter. I may be kind of uncool for not using certain technology and being everywhere on social media, but I have my sanity and health, and that’s saying something. I’m sorry but is this like a reccomened routine for like retired people or something? I work full time and I don’t know anyone who would have time for over 4 hours of “brainstorming” time on a Monday and Wednesday, with an 1.5 hour break after. As well as being able to walk/write/yoga all morning on tues and thurs…. Who’s perfect life is this???? Great idea’s for your routine, it’s so important to have a good one. It’s something that is also very easy to write down and sometimes a very difficult thing to actually do. I love number 2 because there are days that things just seem to get away from us. Me for example my goal this morning was to get caught up with my email/blog reading and then get some personal work done. I only have about an hour left before going to my prison (job) and still have to get much done for my personal business at home. But this article was too good a article to pass up thanks for the time you spent on this and I hope your routine continues to work for you. Email subscriber here. 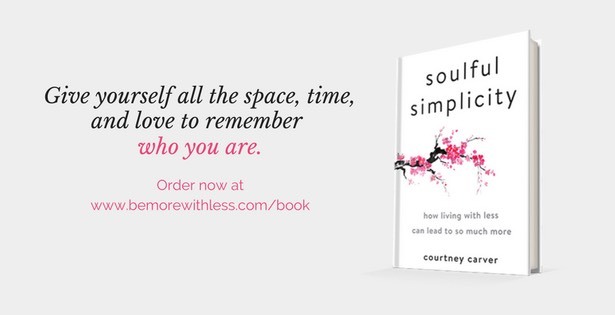 Thank you SO much for sharing, Courtney! Recently I’ve been searching for a 2016 planner/calendar and thinking about work and how to be better structured for productivity and creativity, so the timing of your post is impeccable. I’m typically an unstructured person, schedule-wise. At 30 years old I’ve struggled a long time with routine and making one that just right for my creative self to function and not feel rushed or restricted, therefore I love the idea of the rotating schedule! I love this post! I think you may have sparked the fire of inspiration in me to write a new post for my blog! 6 am: leave for work. Not all that exciting, but it’s functional and keeps our life in check. Some days my son has wrestling practice, basketball practice, football practice, baseball practice, or something. Soon daughter will have gymnastics practice or dance practice and life will be REALLY busy.